Your Guide to Manifesting Magic & Miracles is on it's way to your mailbox! Use this Powerful Process & Workbook to set the magic in motion. PRINT IT...FILL IT OUT...POST IT! Listen to this invitation below on how you can make your guide that much more powerful! Set yourself & your business to RECEIVE MORE...more success, more MONEY & MAGIC in 2018! As I've been evaluating and planning for the following year, and going through some of this with my individual clients... I realized JUST HOW important it is to take time to visualize and plan for ALL of us! The science is about integrating the new neuroscience and scientific research in what helps our brains "win" over the long haul. The soul part is about finding the alignment with our purpose and our guidance. This was an AMAZING YEAR for me...I grew, and stretched in ways I never imagined! I accomplished more, increased my reach, and took more risks than I ever thought would be possible. We built a 1/2 million dollar center, grew 3 businesses, created several programs, and had more heart-opening, and amazing opportunities to speak in large stages & be interviewed than I could have asked for. Greater Alignment & Consistent Spiritual Practices. Created a comprehensive business plan. Joined a mastermind and invested in support & coaching. Took consistent action regardless of outcome. Now...I have never been a super "planner" and for years I had no idea what a business plan was, or how it was different than simply setting "goals". FAILING TO PLAN, OR PLANNING TO FAIL...if we don't take the time to create an aligned business plan! Not only that, but our world is evolving at an alarming rate, and certainly you have sensed that "business as usual" is no longer working. Perhaps you have achieved a certain degree of success, but you know you can do so much better, and have a much greater impact; but it may feel overwhelming. This has been an intense year of change for all of us. 2016 was the year of completion. We are completing old patterns of belief and behavior and stepping into a new space of awareness that honors our vision and expansion. Sometimes these seasons of completion can feel overwhelming as we evolve into the next phase of ourselves and our work. And you are probably feeling the "nudge" to go deeper, go bigger, or offer a new transformation to your tribe. You know you are here to share your wisdom, your story and to be a LEADER in our evolving world, to make a difference and honoring yourself by making a good living and embracing more freedom. If you’re ready to stop going in circles and make 2017 the year you EXPLODE your business and step up as the leader and messenger that you are here to be, then I highly encourage you to read on and find out how you can CREATE THE SOULFUL SUCCESS PLAN that will rock your business in a beautiful Divine Flow. You have BIG DREAMS and a BIG Calling! You may even know what you need to do, but you find yourself getting distracted, procrastinate and not take the time to plan for what is ahead in the way you know would benefit you. Want to double your income or something greater? You are finally ready to stop this pattern and set yourself up for true success, abundance and massive impact! Create a plan ALIGNED with your stage of business development as well as your Soul's purpose. Before moving forward we need to evalutate the past year. The good, the bad, and the ugly. This is where we get to connect with your Soul, your Divine and inspired VISION of what you want to create. Where you can use this to distill the "hacks" that will keep you jazzed all year long! Here's where our nerdy brains get put into action. Where we drill down on the visionary STRATEGY that will actually help you take LEAPS forward. Not what the manual says. What YOU & Your Business NEEDS. WALK AWAY with an entire business plan aligned with your soul. Something that is not only aligned but fully IMPLEMENTABLE and that will lead to ACTIONABLE RESULTS & True Success! - Becoming clear & focused on what is the most aligned action for the programs you want to create and offer your tribe. - Feeling confident in knowing what are the steps you need to take, and have deeper clarity of what to say "yes" to and what to say "no" to. - Stop the overwhelm by chunking out your year in quarters and months. - Creating your business plan in alignment with your Divine purpose, your stage of business development AND neuroscience research that will help you stay motivated and excited! - The excitement you will feel at talking to others about what 2017 will be and being fully confident that you finally can experience success with ease, grace and flow! Imagine meeting with an amazing group of heart-centered entrepreneurs equally committed to having a rockstar 2017 filled with abundance, ease & flow? Give yourself and your business the time to plan, aligning with your soul's divine guidance where you can have fun, be inspired, be focused, and let your Divine Rebel out to create Legendary Change. Connect and ignite your intuition and soul's guidance to manifest your vision in the coming year. Honor and release the pains, frustrations and dissapointments of 2016. Integrate the lessons learned and re-wire your brain for true abundance and success in 2017! ARE YOU A DIVINE REBEL? Divine Rebels are passionate non-comformists committed to creating a world of peace, love and compassion through their work. We are committed to creating a revolution of love, lighting the way for others, uplifting each other, and fierce about sharing our knowledge, passion, and experience to transform the world! You feel a sense of calling from Spirit, intuition and the Universe that responds to Higher Order guidelines, and you know deep down that you need to share your passion, your wisdom, your knowledge, and are looking for the ways to do so most effectively. Create a Crystal Clear Vision of what you want to accomplish next year that is fully aligned with your Soul's calling. Connect to your inner guidance and learn THE MOST EFFECTIVE ways to make decisions. Strategize HOW to accomplish your BIG vision in the most clear, straight-forward pathway, so you can experience the success, abundance and fulfillment sooner. Identify WHAT tasks, processes, and activities are most important for you to focus on and what things to leave behind. Identify your BHAG Financial Goal for 2018,, and create a pathway of HOW you will make this happen with ease, grace and flow. Experience Business Planning in a whole new fun way! It will decrease your BUSINESS OVERWHELM for sure! You will have a clear map and plan of what you need to accomplish, so that the "shiny things" that come along won't derail you as easily. You will avoid getting stuck in "tactical hell" and begin to experience "success heaven". 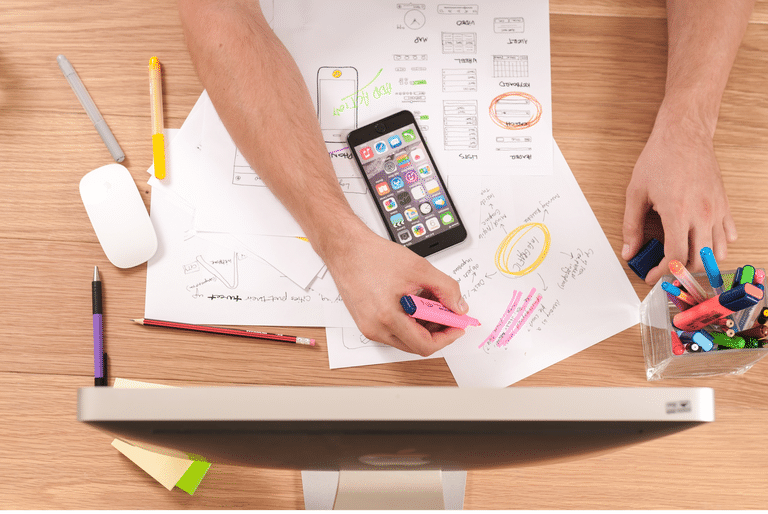 Your business will have a more streamlined pathway, and you will know exactly what to focus on. It will ACCELERATE YOUR BUSINESS GROWTH AND YOUR PROFITS. Easily triple your bottom line. Create a pathway for you to create the impact and legendary change you most desire. WHAT WILL I GET DURING THIS WORKSHOP? CLEAR VISION: Uncover your enlightened vision to make 2017 the most successful & profitable yet! CLEAR & ALIGNED STRATEGY: Designyour soul aligned strategy based on your vision and broken up into 90-day cycles that can double your efficacy & profits, while increasing your work-life balance. CREATE YOUR REVENUE ROADMAP:Create your ideal REVENUE roadmap to hit and surpass your financial goals, through specifics offers & programs. STEP-BY-STEP ACTION PLAN:Walk away with a step-by-step action plan you can easily implement, follow and adjust through your year. MINDSET FAST-TRACKS:Walk away with simple mindset tricks you can use when you get stuck! And the BEST Part? Figure out how to balance structure and FLOW... how to be able to set yourself FREE by planning, while also giving yourself the space and freedom to FLOW with your year as you see fit! Sign up. Clear your schedule and MARK YOUR CALENDAR for Saturday, February 3rd @ 10:00am MDT. It's a 1/2 day workshop (about 4 hrs), but we will take short breaks as well. Open your heart and be willing to be vulnerable, to share and support others, and to expand your vision past what you believe is possible! This workshop is for passionate purpose driven entrepreneurs & service-based business owners (professionals) (Divine Rebels) who are committed to making a BIG change and a BIG splash in 2018. You have great ideas, but at times struggle with discerning what is the best path to take, or get distracted and over-worked and fizzle out before you can complete what you wanted to do. You may be feeling completely excited, energized and jazzed about the new year, or feeling overwhelmed and frustrated about the past one. Regardless, you are ready to leave 2016 behind, and to start a fresh, invigorating, aligned and strategic 2018, to create unlimited success! 1. The # 1 Psychological trigger that you must adopt in order to accelerate your results. 2. The 2 Core Beliefs that you must have in order to succeed, to keep aiming higher and higher, and to quickly bounce back from dissapointments. 3. The 3 Strategies you can use to set yourself up for success based on new neuroscience research. I'm also going to share my secrets of how I'm able to accomplish so much and be so productive. And of course get all of the handouts, worksheets and templates, as well as the recording. RESERVE YOUR SEAT BEFORE IT'S SOLD OUT! Hi I'M DR. ELENA! I'M HERE TO HELP YOU TURN YOUR PASSION INTO A PROFITABLE BUSINESS. My name is Dr. Elena Estanol I'm a Performance Psychologist and Intuitive Business Mentor who is passionate about helping purpose-based entrepreneurs like you, ignite your passion, unleash your brilliance and transform the world, through your business and your message. I built a successful multi 6-Figure Integrative Wellness Center, and then others started asking me for advice as to how I had done that. 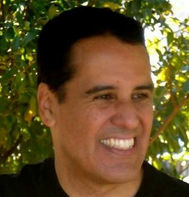 However it was after a life-changing accident, that I received a distinct "calling" that I needed to empower and help all the "healers in the world" (people who are here with the purpose of healing and improving our world through their gifts and talents), build profitable businesses that sustain their missions; so here I am serving my calling. I've been called many things amongst them a "magical manifestor" and though I am whimsical and intuitive, my 17-years in Higher ed made sure that I stayed grounded on my brainy side. So I am a visionary strategist that loves to create innovative solutions, build a profitable businesses and help you express yourself in your own unique way. I've spent thousands of dollars, and thousands of hours, reading, studying and learning from others for the last 28 years! Both honing my craft, and pushing people to achieve excellence, to go from ordinary to extra-ordinary, as well as helping other entrepreneurs build a business that they love and that provides them with the freedom to live a luminous life. Creating abundance in money, time, expression and joy. Contrary to popular belief, Goal setting is not what produces results...intentions ARE. Why? because these are wired at a more cellular and subconscious level, that paired with strategic action will produce the best results and outcomes, with more ease and flow! 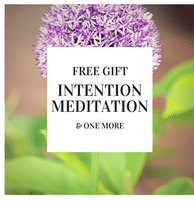 Receive this meditation and listen over and over throughout the year! The second biggest impact in the results we see in our business, relationships & life relates to our mindset. The way we perceive, attune and re-wire our experiences, thoughts, beliefs and emotions. 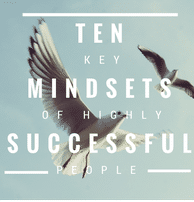 Learn what the 1% of the population with the greatest degree of success does differently. BONUS 3: TWO GROUP COACHING CALLS TO FOLLOW UP YOUR IMPLEMENTATION! Gain PARTIAL access to our amazing Intuitive Business Mastery Academy! You will get access to two interviews with guru's in the transformational space on business building. PLUS receive access to TWO-Additional coaching calls to help you implement and finalize your business plan. Sign up now, and you will LOCK IN a super low monthly fee for as long as you stay in the academy regardless of how much it goes up! My private clients pay $2000 for this same content and strategic & soulful business planning! I want to make this accessible to you, someone who is committed to creating a powerful and transformative 2018 fully aligned with your spirit and your calling! THE TIME & SPACE TO PLAY & CREATE! It is fascinating how many helpers, and heart-centered entrepreneurs spend their days helping others, and when an opportunity comes to get help or support, they deflect it and push it away. Comon excuses are "I can't afford it"; "I don't have the time"; "This is a bad time"; "I can do this on my own", etc. Yet the truth is that as long as YOU don't value yourself and your business, and are willing to invest your resources (time, energy, money, attention), your business will continue to eek by, and you will continue to blame yourself, feel frustrated, and get demoralized or burnt out. WE are relational beings. WE are meant to live, create and thrive in COMMUNITY, not alone. WE are ignited and re-energized when we come together, and support one another, and open ourselves to receiving the help and support that will enable us to become our most successful, integrated and wholesome selves! And when we finally give ourselves permission to INVEST in ourselves and in our business, the glass celing will burst open. The opportunities will flood your way and you will begin living in a state of peaceful abundance, easy success and flow! HAPPY NEW YEAR! Time to do Something Good For YOU! Remember to enter coupon code: HAPPY60! We will meet via Zoom. A technology similar to Skype that will allow us to interact in real time. You will receive a link to join from the comfort of your own home. WILL I JUST BE SITTING THERE LISTENING? Not a chance! While there will definitely be some listening, I expect you to be working on your own life or business plan. 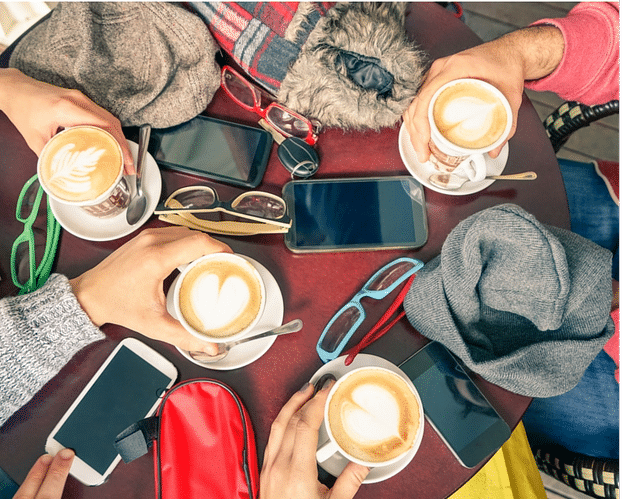 To interact with others in the call. To share your insights and visions and dreams. To participate fully and be working on your own business plan. Come ready to work. Please be in a quiet environment where you wont be disturbed! Absolutely! Just share the link to this page so they can register. Since I am offering this amazing discount, All attendees need to register and pay their fee. I plan to record this so you can go back and review, however, it is hard to make promises about this, especially given the length. You can certainly benefit from watching the replay, but you will gain so much more from attending live! Due to the time investment and preparation it will take me to get you ready to rock your Business Plan with Soul, all sales are are final and no refunds will be issued if you miss it or decide not to attend. Mark your calendar, clear your schedule and set some alarms. You deserve to create this little cocoon to nurture an amazing explosion for 2018. This is What you were Waiting For. Don't miss your chance! Do you rather explore the options of what might be the best strategy for you right now? 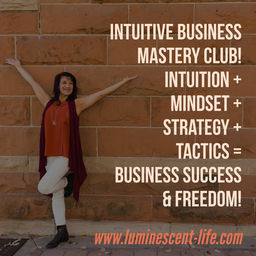 No biggie, sign up for a Luminous Business Breakthrough Consultation and we can determine what will be the best plan of action for you to skyrocket your success!